tonight was family date night...record shopping and mexican food. i do and do cherish these two guys...especially when the smallest one comes home with his new michael jackson record and does the most sensible side-step dance to smooth criminal. he surely knows how to melt me, that one...and make my sides ache a little bit from laughing. what a lovely date! i have been wanting to go record shopping for new ones. 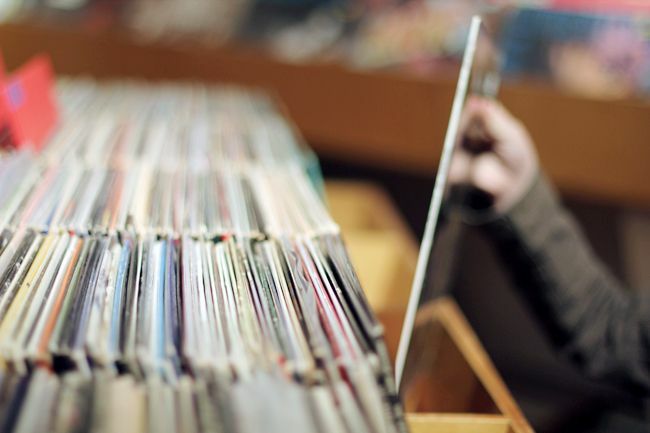 . . i just love records! aaah! the side-step! bless him. 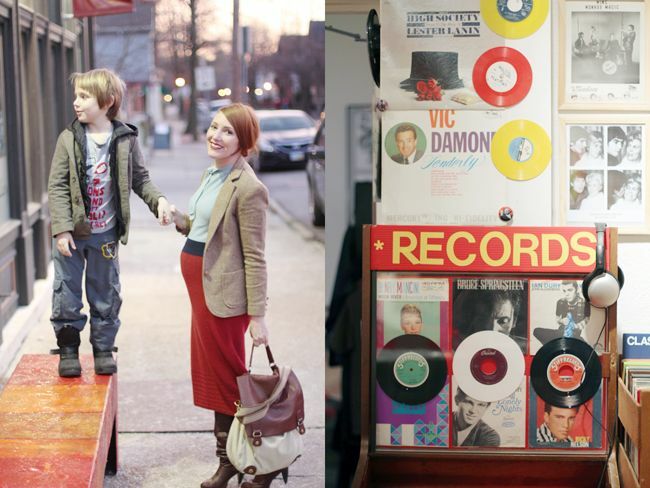 record store dates are my favorite - and you look so adorable with your little baby bump!! my favorite combination! what is better than that!?!?! Nothing, I say! Love the picutres...and that bump...gah, so adorable! A record shopping is so fun, I miss that already. hi katie! you looks SO adorable! i'm so so happy for you. please post lots of maternity pics because baby fever suffering ladies like me live for em! 1. Matt and Max holding hands together. 2. You holding Max's hand, while your cute little bump shows in that most adorable dress! Just wondering...do you have any wedding photos on your blog? I could imagine it would be super edgy and cute! I love this idea of family dates, it's so nice to take the time to do that. Have a nice week-end. Soooooooo cute, I love these! In fact I always love your photos. Yours is one of those blogs that always leave me hanging out for the next edition! I love records! It's great that your son likes them too, at such a young age. So cute! Thank you to be my daily inspiration! Your family is sooo adorable! You are the prettiest pregnant lady, you glow! Oh what a Fabulous family night! Sounds like so much fun! You look so Beautiful with that little baby bump!!!!!! damn, you are too cute!!! max is all boy! i love the unzipped jacket, one pant leg up and silly smile. such a great age! ooooh that baby bump is just too precious. I love your baby bump, missy! 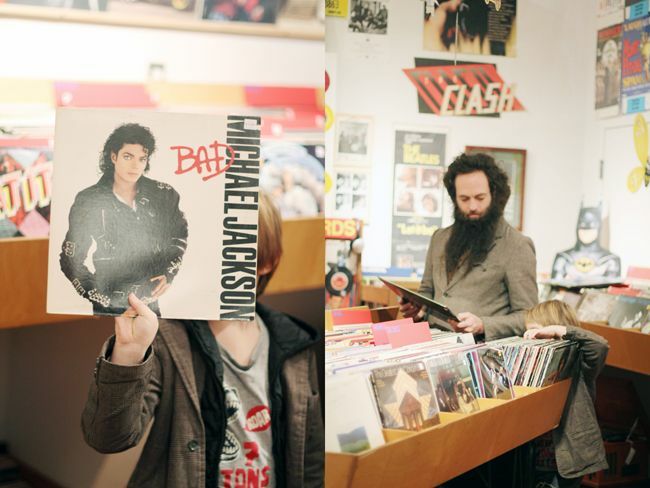 I also love the Michael Jackson record... Good taste, little man! 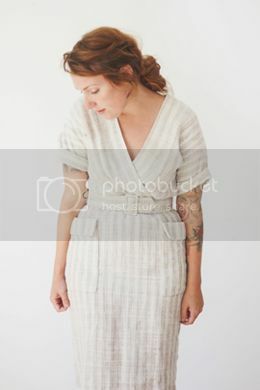 Found you via corey's (tongue in cheek ) blog, she lives in France & had written about Kinfolk. Clicked on their link & saw that you are in Dayton. I'm a hop & a skip away in Arcanum. Loved finding Kinfolk, inspiring! My husband is related to Shannon, Flower Patch farm girl. what a nice date! 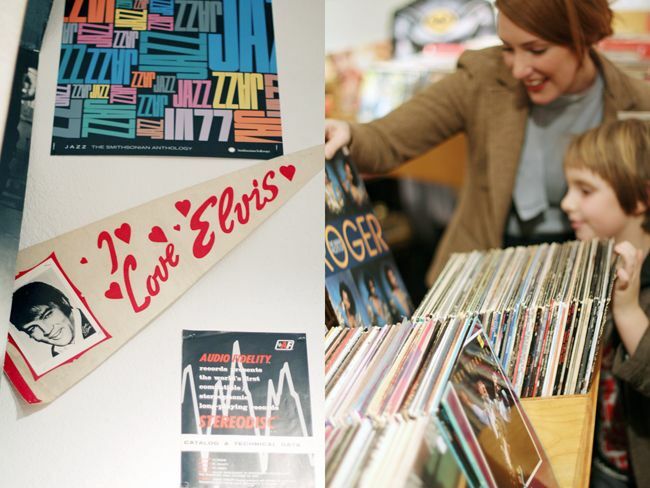 jared and i are going out to eat & record shopping tomorrow and i can hardly wait! Music, family, and fun. Love this! What a lovely evening and beautiful photos. Classic album selection by your little man too! 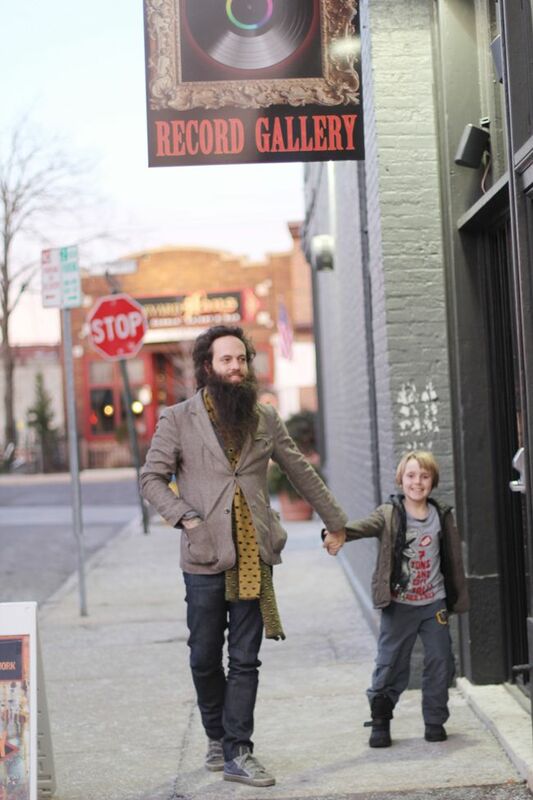 we spend family time at the record store too. my to-be-three-year-old flips through the vinyl just like her daddy. That looks like a wonderful place to spend some time! I love your dress, I think I've seen it at Anthropologie. Record dates are the best.